Explore and create a variety of nature-inspired poems we'll use to construct a "poet-tree" in this poetry workshop for all ages. 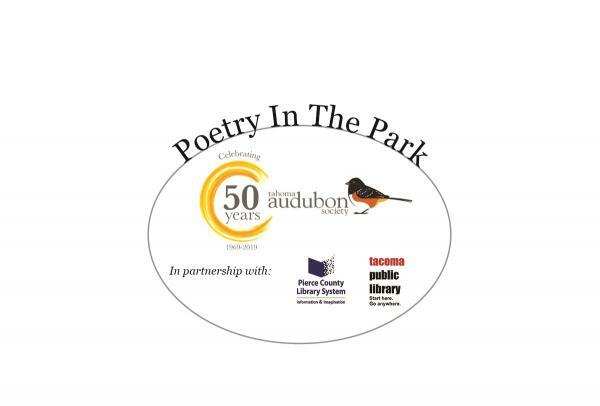 Join the Tahoma Audubon Society, Pierce County Library System and Tacoma Public Library at the Tacoma Nature Center at Snake Lake for this free Poetry in the Park event. Together we host a workshop where we'll explore and create a variety of different types of nature poetry. After we create our poems we will decorate our “poet-tree” art installation by writing our poems on brightly colored paper silhouettes of birds and leaves to adorn our indoor tree. All ages and abilities are welcome. Registration is encouraged.